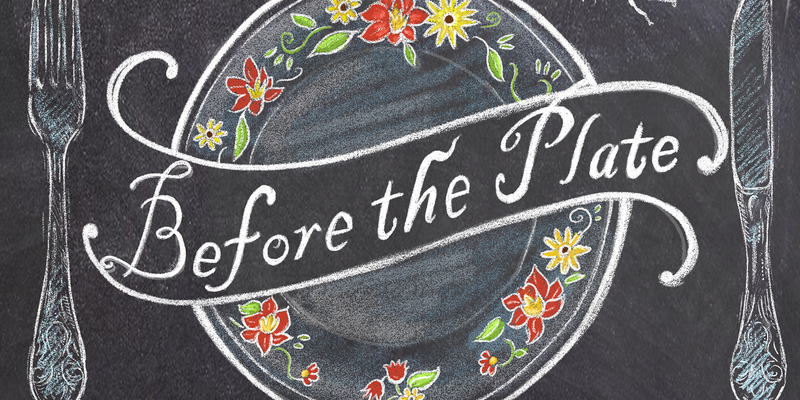 Before the Plate follows John Horne, one of Canada’s most renowned chefs, on an epic journey as he tracks each ingredient from one plate of food back to the farms they came from. Putting together an amazing plate that celebrates the best of what Ontario has to offer begins with the farmers and fields that grow, raise and produce the food we eat. The story starts in John’s prestigious restaurant Canoe in Toronto, and travels from the busy, urban city to the rustic, rural origins of the ingredients. Along the way, Before the Plate delves into some of the most pressing issues facing farmers today and uncovers what it takes to produce food in a rapidly evolving agricultural landscape. Enjoy a rare look at today’s food system, as the worlds of agriculture and cooking come together in one mouth-watering Canadian food story. Find out more at http://www.beforetheplate.com/. Following the screening you’ll get the chance to learn more about what it takes to grow and produce food in Simcoe County by speaking one-on-one with the local farmers and food producers of the Barrie Farmers’ Market. Find out about the challenges they face and why they take pride in what they do, and learn about championing the local culinary landscape by working directly with farms as a chef or food producer. The screening is being held at the Five Points Theatre in downtown Barrie, just two blocks from the site of the Barrie Farmers’ Market at City Hall. Doors will open at 6:00 p.m. with the screening from 6:30 to 8:00 p.m. An informal reception with the opportunity to speak one-on-one with your local farmers and food producers will follow the film. Tickets for this event are free and general admission, but seating is limited. To avoid disappointment, please save a seat in advance through the Five Points Theatre ticketing site at https://secure.ticketpro.ca/?lang=en&aff=cob#def_1328408352. The Barrie Farmers’ Market brings the best that local growers, farmers, and food producers have to offer into downtown Barrie all year round. Established in 1846 at what is now the site of the city’s iconic archway, the Barrie Farmers’ Market serves not only as a marketplace for local vendors, but as a gathering place for local community groups and musicians. Located inside and outside Barrie City Hall, the market operates every Saturday from 8 a.m. to 12 p.m.
Creative Barrie is playing an active role in supporting the success of independently owned local food businesses. Surrounded by some of the most fertile land and richest natural resources in Ontario, and with the 5th most restaurants per capita and one of the fastest growing populations in the province, it’s no surprise that Barrie is quickly establishing itself as Central Ontario’s primary food hub. You’ll find them on Facebook and Instagram as @creativebarrie. The Small Business Centre: Barrie, Orillia & Simcoe County encourages and supports local entrepreneurship, including in the food sector, by being a one-stop source for everything a small business needs. Supported by the Province of Ontario and the City of Barrie, it helps entrepreneurs make the right decisions during the business start-up phase and assists in developing businesses as they grow.